Description: Recommended enhancement: Fighter. Embrace the power of the glacier… and CRUSH YOUR ENEMIES! They will soon know the cold grasp of the grave thanks to the power you wield! Are struck by an enemy in combat gain mana on every attack especially on critical strikes. Description: The Glacial Warlord's attacks strike with his full force taking longer per attack but dealing more damage than anyone else on the battlefield. 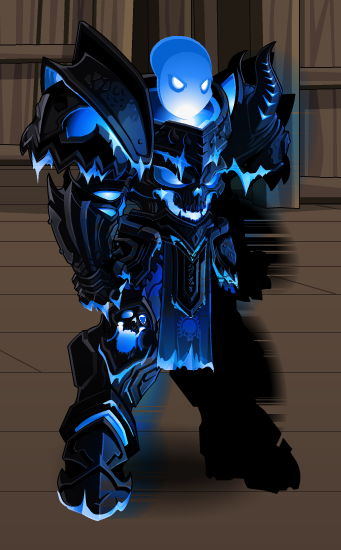 The Glacial Warlord's attacks strike with full force but takes longer to build up power. Glacial Warlords deal more damage than anyone else on the battlefield. Description: Strike your opponent for light damage and gain a Frozen Heart Stack up to 5. Each stack of Frozen Heart increases your crit chance, haste and damage taken. BUG WARNING: THIS ABILITY IS BEING REWORKED. Strike your opponent for moderate damage and has a chance to grant Frozen Heart Buff for 6 seconds. Frozen Heart increases your critical strike chance, haste and damage taken. Strike your opponent for moderate damage with a chance to grant Frozen Heart on yourself for 6 seconds. Frozen Heart increases your hit and critical strike chance, haste and damage taken. Note: Frozen Heart increases your damage taken by 10 15%. Description: A stunning attack (4 seconds) that also reduces your opponent's haste for 15 seconds. Frozen Heart stacks increase amount of haste reduction on your target. Resets Frozen Heart Stacks. BUG WARNING: THIS ABILITY IS BEING REWORKED. Stun your opponent for 3 seconds, if you have frozen heart which will reduce your opponent's haste for 15 seconds. Stun your opponent for 3 seconds. If you have Frozen Heart, it applies Bone Chill, lowering your target's haste for 15 seconds. Note: Applies Bone Chilling to the your target, reducing their haste by 15%. Description: Deals light damage and makes your opponent vulnerable to physical damage for 20 seconds. Frozen Heart stacks increase your targets vulnerability. Resets Frozen Heart Stacks. BUG WARNING: THIS ABILITY IS BEING REWORKED. Deals moderate damage, If Frozen Heart is active, makes your opponent vulnerable to physical damage for 20 seconds. Deals moderate damage if If you have Frozen Heart, it applies Frostbite, making your target vulnerable to physical damage for 20 seconds. Note: Deals 100% weapon damage and applies Frostbite to your target, increasing all physical damage taken by 20%. Description: Strength increased by 30% and Luck decreased by 30% 15% 20% 25%. Description: An invigorating shout healing the Glacial Warlord and his soldiers. Heals you and up to 6 5 allies if Frozen Heart is NOT present. If Frozen Heart is present, only heals you or an ally plus an increased amount over time. Does NOT reset Frozen Heart Stacks. BUG WARNING: THIS ABILITY IS BEING REWORKED. Note: Heal amount based on 85% of weapon damage, heal over time based on 23% of weapon damage and lasting 10 seconds. Description: The force of each Powerful Blow has a chance to crush your opponent's skull dealing massive damage. Note: Applies Skull Crusher to yourself, increasing all damage output by 100% for a few seconds. 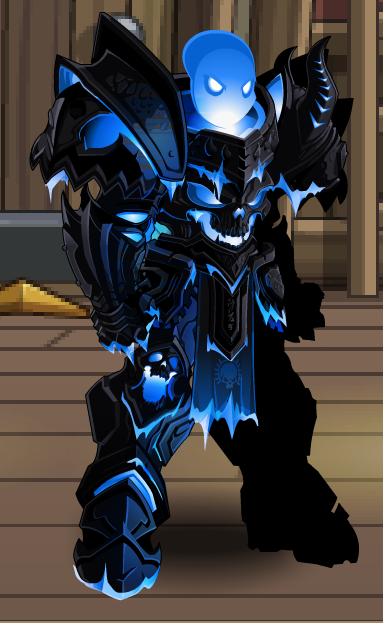 This item was changed from Glacial Warlord Class Coming Soon on December 11th, 2013. Thanks to Mira and Seah Deng Xian.